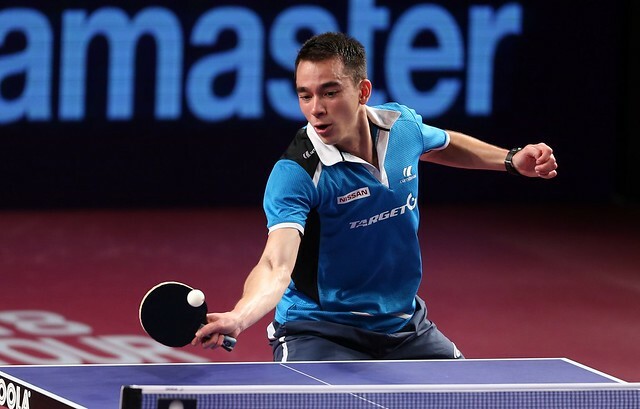 Brazilian Hugo CALDERANO has shocked the table tennis world by defeating world number four LIN Gaoyuan (CHN) in the last 24 hours to make the Seamaster 2018 ITTF World Tour Platinum Qatar Open final! The 21-year-old made a huge statement by beating the Chinese superstar and number three seed comprehensively 11-9, 11-8, 11-3, 11-6 in a devastating display of table tennis to show the world that he is ready to break into the elite group of top players. This amazing win adds to a dream event for the boy from Rio de Janeiro, after he defeated world number one Timo BOLL 4-1 in the round of 16 and then world number 12 Tomozako HARIMOTO (JPN) in the quarter finals. The next challenge for the world number 15 is another daunting task, world number two FAN Zhendong (CHN), but after these giant slaying results who would doubt his chances. The men’s final will be played at 17:00 local time (+3 GMT) and the women’s final at 16:00, which will be contested between the Chinese duo of WANG Manyu and LIU Shiwen. Both matches, can be watched live on tv.ITTF.com.